This Work Letter Addendum (“Addendum”) is entered into as of _____________________________between _____________________(“Landlord”), and _________(“Tenant”). A. Landlord and Tenant are lessor and lessee respectively under a Lease dated ___________(the “Lease”), pertaining to real property located in the City of __________, County of ________________ and more particularly described in the Lease (the “Premises”). B. The Lease contains a Work Letter (“Work Letter”) which provides for the construction of certain leasehold improvements in the Premises. In such Work Letter, certain improvements are furnished by the Landlord as Building Standard Work, and certain other improvements are constructed by Landlord at Tenant's cost. C. Landlord and Tenant desire to clarify certain matters, as hereinafter provided, with respect to the contents of the Work Letter. To the extent that any provision of this Addendum is inconsistent with any provision of the Work Letter or of the Lease, this Addendum shall prevail. 1. Within thirty (30) days after the Substantial Completion of the Premises, Tenant will prepare a list (“Punchlist”) of items remaining to be completed pursuant to approved plans and specifications for the Premises, and shall furnish a copy of such Punchlist to Landlord and to Landlord's contractor. Upon receipt of the Punchlist, Landlord or Landlord's contractor shall commence to remedy and repair each and every item appearing upon the Punchlist. Landlord shall cause each and every item appearing on the Punchlist to be remedied within thirty (30) days after Landlord's receipt of the Punchlist from Tenant. Tenant shall withhold twenty five percent (25%) of the first installment of monthly minimum rent as security for the completion of Punchlist items by Landlord's contractor. Upon the completion of each and every item appearing on the Punchlist as provided herein, Tenant shall promptly pay to Landlord the amount withheld as security as provided herein. If Landlord does not cause Landlord's contractor to remedy each and every item appearing on the Punchlist within thirty (30) days after Landlord's receipt of the Punchlist, Tenant may elect to remedy any remaining items on the Punchlist, and deduct the cost thereof from amounts withheld pursuant to this provision, after which any remaining portion of amounts withheld by the Tenant shall be promptly paid to Landlord by Tenant. 2. (a) In the event that Substantial Completion of the leasehold improvements has not occurred on or before _________, 20___ in accordance with the terms hereof and those in the Work Letter and the Lease, or if Landlord shall for any reason be unable to deliver possession of the Premises to Tenant on such date in accordance with the terms of the Lease and in accordance with the terms of the Work Letter, then notwithstanding anything to the contrary hereinabove contained, the term of the Lease shall commence on, and the Commencement Date shall be (and shall, for purposes of this Lease, be defined as) the date fixed by Landlord in a notice to Tenant not sooner than sixty (60) days next following the date of the giving of such notice, which notice shall state that on or prior to the date fixed in such notice, such leasehold improvements shall be Substantially Complete and Landlord shall deliver possession of the Premises to Tenant. The foregoing is conditioned upon Landlord's actually delivering possession of all of the Premises to Tenant, in Substantially Complete condition, in accordance with the terms of such notice. 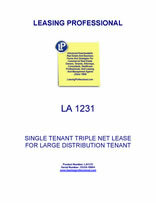 (ii) the date on which Tenant elects to terminate this Lease pursuant to the terms hereof. (c) In the event that Landlord has not delivered possession of the Premises to Tenant, in Substantially Complete condition on or before ___________, 20__for any reason, Tenant shall have the option to terminate this Lease by giving Landlord written notice thereof on or before_______, 20__. In the event that such termination notice is not delivered to Landlord on or before ___________, 20___, then this Lease shall remain in full force and effect with no further right of termination except as expressly set forth herein.